Our love of the fine scotch from The Balvenie distillery knows no bounds, so word of their latest release is always welcome. In this case the spirit is called Tun 1509. Handcrafted by renowned Malt Master David Stewart, Tun 1509 was carefully hand-selected from 42 of Balvenie’s finest casks – 35 traditional American oak barrels and seven European oak sherry butts – which were then transferred to the eponymous Tun 1509. There they were aged for several more months before bottling. Tun 1509 is therefore a rare interpretation of the marrying process from the Speyside distillery, and allows all 42 casks to come together to create a unique expression of The Balvenie that’s greater than the sum of its parts. 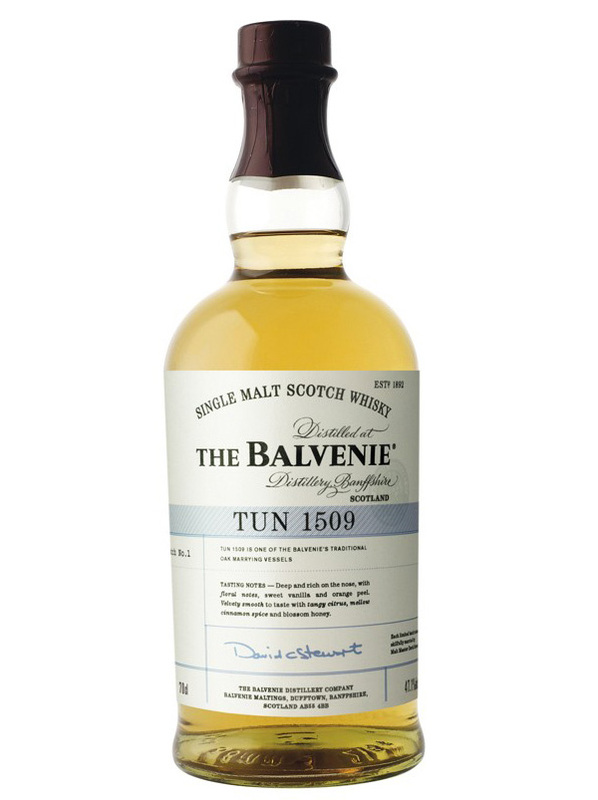 Balvenie promises its Tun 1509 will be deep and rich on the nose, with floral notes of sweet vanilla and orange peel. Also notes of tangy citrus, mellow cinnamon spice and blossom honey are hallmarks. Pick up a bottle at Master Of Malt for $340.